I am pretty sure this is going to be the running joke for my name for the rest of the summer, thanks to Finding Dory. Truth be told, my husband cracked up every time Marlin or Nemo made a reference to the squawky, wacky-eyed loon. I think I relate to bird-Becky more than I’d like to admit. 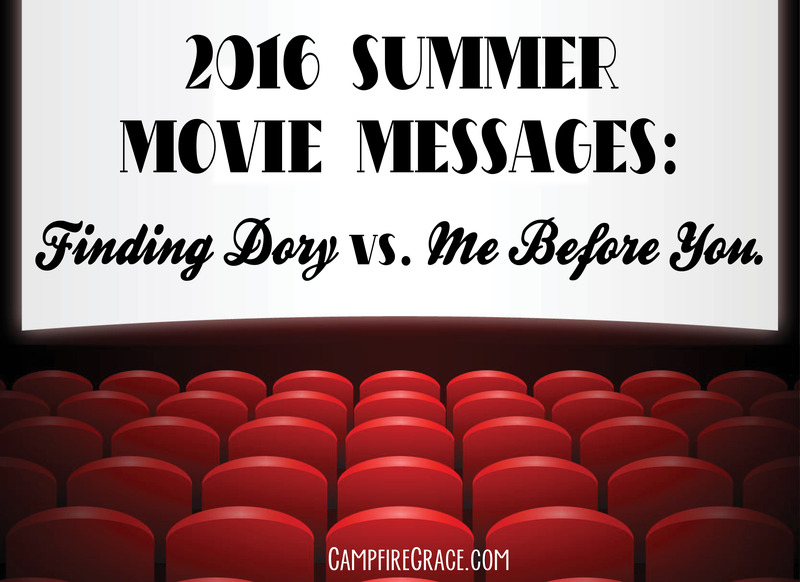 I have a similar distractible affinity for popcorn… and s’mores… and, well, food in general. However, I appreciated the role that Disney and Pixar wrote for the awkwardly frazzled bird. She came through for the helpless fish, despite her obvious disabilities, and was a crucial part in bringing about the happy ending. This is in sharp contrast to the “hero” of Me before You. I have to admit, I wanted to see it. The romantic previews for this film had me, and all my gal-pals, ga-ga to see it. But after reading Plugged In’s perspective of the film, I became sick to my stomach, I decided not to support it in theaters. (Spoiler: the disabled man and romantic interest commits suicide in the end). This article also addressed the controversial issue of Hollywood’s highlighting assisted suicide for the disabled. Both articles’ opinions on the subject gave voice to my own, which hits somewhat close to home. Two years ago, I watched as a close family member endured a horrific accident. By God’s grace, he miraculously recovered. And yet, he has had to learn to live with disabilities. And we thank every day he chooses to say YES to life, to his family, to God’s plan. Because of their situation, he and his wife have shared the gospel many times with others with disabilities and chronic pain. This man has learned to thank God for his accident because it has given him a platform to share HOPE! This is why, in a world where assisted suicide for the disabled is glorified as heroic, I appreciate the message Pixar promotes: it is the mentally disabled Dory, and even “Becky,” that prove their value by saving the day. If choice is the word for the day, then may we all choose to see the image bearers of God in each wheelchair, assisted living center, or socially awkward situation, like the ones this Becky gets herself into far too often when cups of popcorn are involved.